The British Olympic boxer Muhammad Ali is facing a lengthy ban after testing positive for a steroid in April, the Amateur Sport’s International Federation(ASIF), has confirmed. It is the first time since GB Boxing was established in 2008 that one of its fighters has tested positive. The news was met with dismay at the GB Boxing headquarters in Sheffield, which has seen Nicola Adams, Anthony Joshua and James DeGale progress through its ranks. 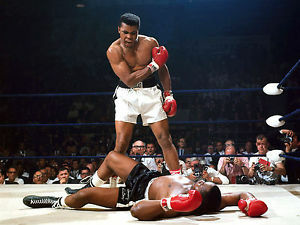 Ali’s test came during a World Series of Boxing match between the British Lionheart and Morocco Atlas Lions in Casablanca and, when notified in May, GB Boxing immediately suspended him from their program.